Often with Medical care patients find bargains overseas at offshore clinics with drastic savings compared to having dental work or major surgery in the United States. A Malaysian patient consulted Dennis M. Lox, MD, an expert in Sports and Regenerative Medicine and found that if he traveled to the United States and treated his knee meniscal tear with stem cells it would be 1/5 the price he was quoted in Malaysia. This reverse medical tourism is finding traction Dr. Lox notes. Patients are willing to travels the globe to have stem cell treatments with Dr. Lox and are finding it to actually be more economical. The misconception everything must be cheaper overseas does not always bear out. 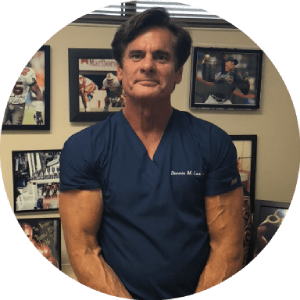 Dr. Lox is an expert in the use of stem cells for the treatment of knee pain, arthritis, avascular necrosis (AVN), meniscal tears, failed knee surgery, and as an alternative to knee replacement surgery. Knee problems and injuries most often occur during sports or recreational activities. Many of Dr. Lox’s patients are weekend warriors without as much riding on the line as a professional athlete, but none the less important to them. Some are aspiring athletes at the collegiate or high school level. Studies have shown that knee meniscal surgery increases the likelihood of future knee joint arthritis.